My Favourite thing to make! 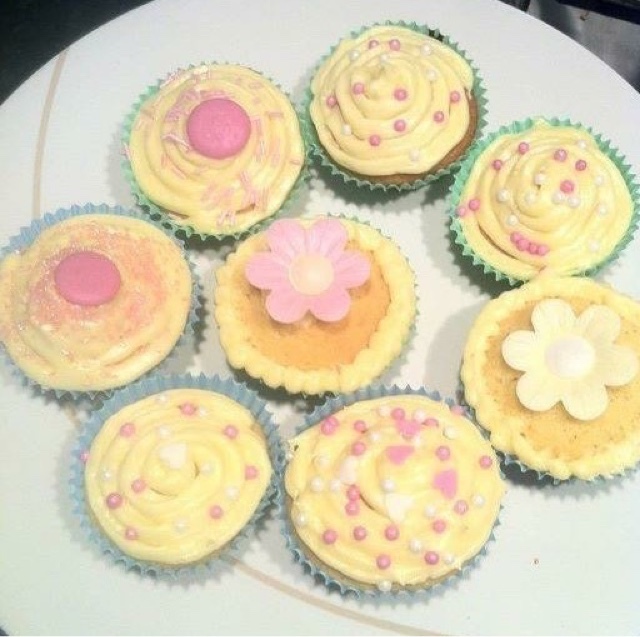 I love this recipe, it makes around 12 light, fluffy and tasty cupcakes! Add the flour, caster sugar and butter and mix well. Then add the eggs and vanilla extract and mix again. Pour into cake cases and cook on gas mark 3 for approximately 10 minutes. Leave to cool then decorate. I love to decorate with Betty Crocker’s Vanilla Buttercream. I use a medium sized nozzle and piping bag to create a swirled effect. Icing sugar is just as delicious though with some sprinkles on top!